Keppel Infrastructure Trust (KIT)'s 2Q18 DPU of 0.93Scts steady as expected. Revenues affected by Basslink downtime, but no impact on distributable cashflows. No impact on SingSpring desalination plant operations from issues at co-owner and plant operator Hyflux. 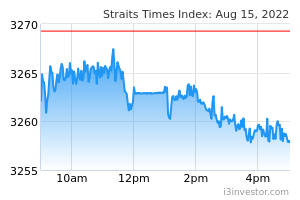 Maintain BUY with Target Price of S$0.58. 2Q18 distribution of 0.93Scts in line. Keppel Infrastructure Trust (KIT) declared DPU of 0.93Scts for 2Q-FY18 as the Basslink interconnector was out of service between 28 March and 5 June 2018. This was due to equipment damage caused by a third-party contractor, causing loss of service revenues from Basslink during the quarter. Given that Basslink does not contribute to distributable cashflows, that number stayed unaffected at S$36.2m for 2Q18, flat q-o-q. This is slightly higher than quarterly distribution of S$35.9m (0.93Scts per share), and hence, demonstrates sustainability of distributions. Distributable cashflows would have been better if not for an unplanned maintenance outage at KMC power plant for around 10 days during the quarter. This is unlikely to affect full-year availability requirements for KMC though. City Gas’ contribution could also improve in the coming quarters from adjustment of gas tariffs in response to higher underlying fuel prices. Cash flows from other key assets remained stable. Dispute between Basslink and counterparties has reached arbitration stage, as expected. Keppel Infrastructure Trust (KIT)'s wholly-owned subsidiary Basslink Pty Ltd (Basslink) received a letter from the State of Tasmania earlier in the year alleging that it had breached the Basslink Operations Agreement (BOA). The BOA governs the contractual relationship between the State and Basslink as the operator of the Basslink Interconnector. The State has alleged that warranties about the design and construction of the Basslink Interconnector were breached, leading to the six-month outage in 2016. The State has also alleged that it has suffered various losses and that Basslink must indemnify it for those losses (including alleged losses incurred by Hydro Tasmania arising from the cable failure in December 2015), amounting to over A$100 million. On 26 March 2018, Basslink received a Notice of Dispute from the State, and on 26 April 2018, Basslink received a letter from the State to refer the dispute to arbitration. Basslink will vigorously defend its position during future arbitration proceedings. We believe KIT is sufficiently ring-fenced from troubles at Basslink. We believe the Trust is sufficiently protected from ongoing issues at Basslink. Even in the worst case scenario, KIT is not liable to pay any damages as any claims against Basslink are ring-fenced at Basslink level. In any case, KIT does not depend on cash flows from Basslink for current distributions, and project loans are also non-recourse to KIT. We ascribe zero value to Basslink in our valuations for KIT, hence the negative newsflow from Basslink is a distraction at best and does not affect fundamentals for KIT. Operations at SingSpring continue smoothly despite Hyflux’s debt restructuring. The SingSpring desalination plant is jointly owned by Keppel Infrastructure Trust (70%) and Hyflux Ltd (SGX:600) (30%) and is operated by a Hyflux O&M subsidiary. On 22 May 2018, Hyflux Ltd and some of its subsidiaries, including Hyflux Engineering Pte Ltd, the operator of SingSpring, applied to the Singapore High Court to commence a court supervised process to reorganise their liabilities and business pursuant to Section 211B(1) of the Singapore Companies Act. On 19 June 2018, the Court granted a 6-month moratorium to Hyflux with respect to the application. There has been no impact on operations so far at SingSpring and KIT has been engaging Hyflux and SingSpring’s project lenders to ensure continued smooth operations of SingSpring. 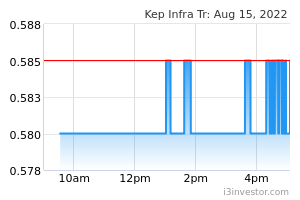 In the worst case scenario, Keppel Infrastructure Trust (KIT) may need to buy out Hyflux’s 30% stake in the asset, but that should not be a big stretch on KIT’s balance sheet. Based on our DDM-based valuation methodology (cost of Equity: 5.3%), we derive a valuation of S$0.58 for Keppel Infrastructure Trust. The Trust is currently trading at a healthy yield of 18, and provides a decent entry point for investors following a de-rating owing to negative newsflow from Basslink asset. Apart from the ROFR pipeline, management continues to evaluate third party options in sectors like energy, telecoms, water and waste management. With a new CEO in place, we look forward to the Trust kicking off its M&A ambitions in the next 6-12 months. This should be a key catalyst for further re-rating.